Carpeaux - TripImprover - Get More out of Your Museum Visits! Who is Carpeaux? Jean-Baptiste Carpeaux (1827-1875) was born in Valenciennes in France and died in Paris. In 1854 he moved to Rome, where he got inspired by the Renaissance artists such as Donatello, Michelangelo, and Verrocchio. He suffered a lot during his life, both mentally and physically, and you can see that back in some of his extreme works. His sculptures are known for the emotions they evoked among the viewers and he clearly distinguished himself with his style from his contemporary colleagues. 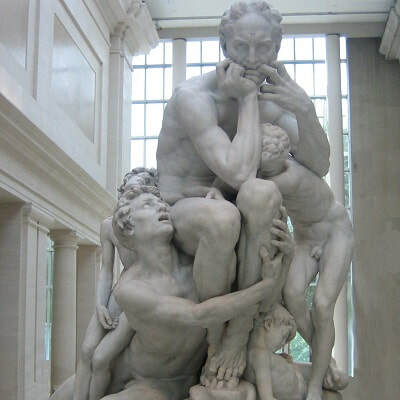 He is considered one of the greatest sculptors of his time, though most people consider Antonio Canova (who was born before him) and Auguste Rodin (who was born after him) to be even better.